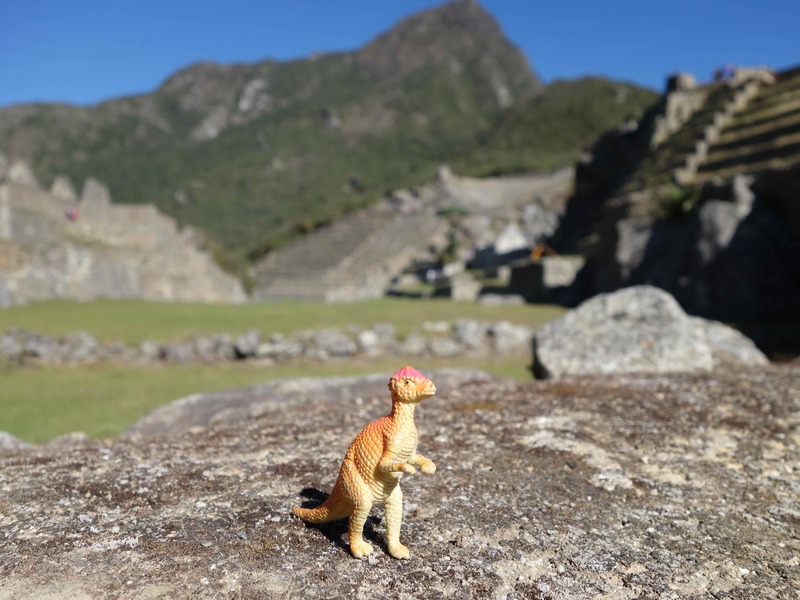 “Old Peak” doesn’t begin to describe what we saw at Machu Picchu, the ruins of an Inca estate. On the other hand, Machu Picchu really is A BIG DEAL. Trust me. I know. I just got back from there. I went with Nona and Papa and cousins Susie and Tom. 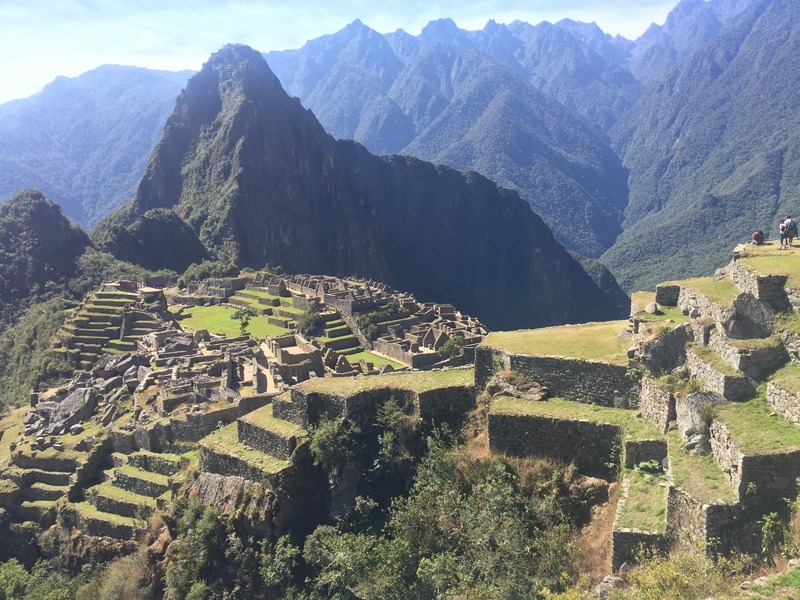 The Inca people built this place around the year 1450 CE, before the Europeans (Spaniards) came to South America and took over. If you could see the amazing big polished stones, the way the stones were placed to prevent earthquake damage, and the way the stones fit together tightly without out any cement, you would know that those ancient people really knew how to make things. I think that Uncle Josh and Aunt Tanya would have loved this place, because the gardening terraces are right by the houses. Papa kept saying, “I’m just amazed at the amount of human labor it would have taken to make this place and then to maintain it and to grow food too.” I kept asking Papa, “How did they move these big stones into place?” He didn’t know. 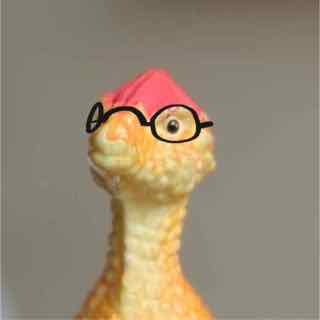 I guess I have to do more reading about Machu Picchu to learn how they did it. Papa told me to read a book, Turn Right at Machu Picchu by Mark Adams, but that’s a grown-ups’ book, and I’m just a beginner reader. “You can do it, Solbit,” Papa encouraged me. Nona kept taking pictures of the doorways at Machu Picchu. I think she wants to put these into her next apartment — the shape not the heavy rocks. 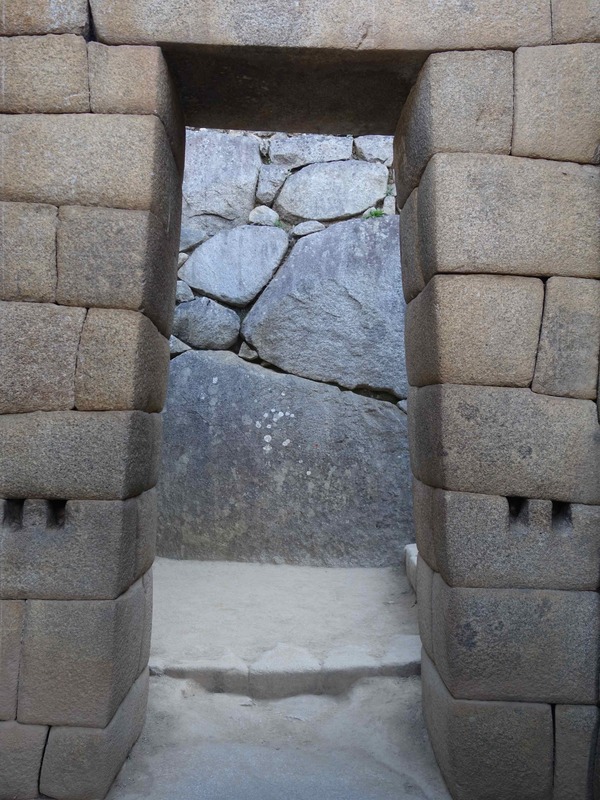 While the shape of the doorways is pleasing to my eye, I’m gonna guess that the reason the Incas (or their Wari Wari “contractors”) used the shape had to do with earthquake safety. I’m just guessing, of course. We left late in the afternoon to go back to our hotel in town. 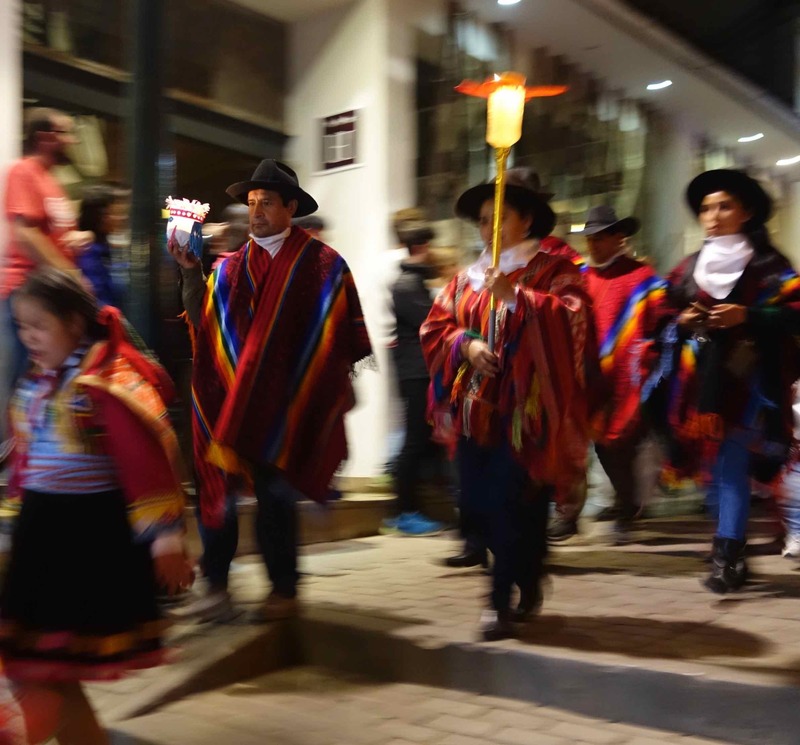 We got back to the town near Machu Picchu, Aguas Calientes (that means “hot water”) also known now as Machu Picchu Pueblo, just in time for a parade at night of local people in traditional outfits. Wow! 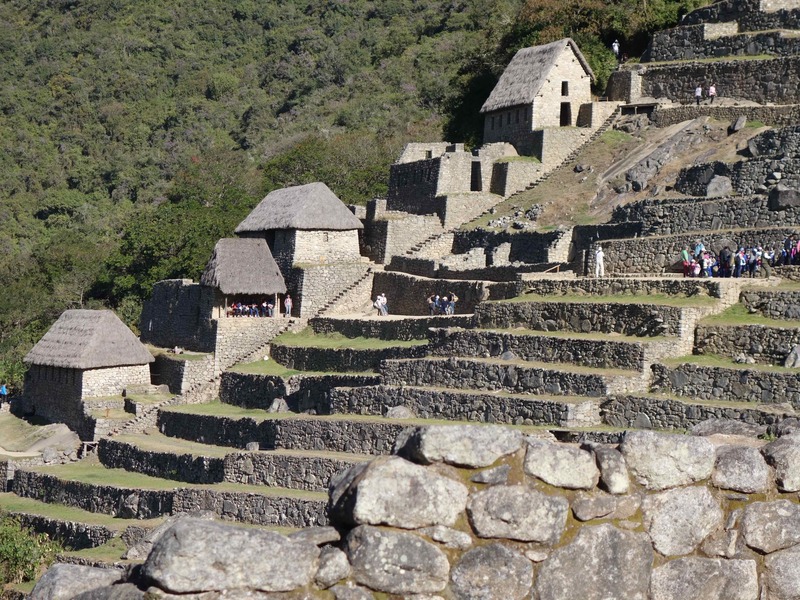 For an “old peak” Machu Picchu sure has a lot to offer. We’re going back up there again tomorrow. There’s just so much to see that we couldn’t do it in just one day. Nona says I have to go to bed now, because we have a long day tomorrow at Machu Picchu. Bye!